A masters of accountancy is a critical step in an accountant’s education. It is the bridge between a bachelors degree and the CPA exam. If you’re in New England, then you have lots of schools to choose from. One factor to consider is accreditation of each school. To help, we’ve profiled the following 5 top AACSB accredited schools for graduate accounting in the area. We called out Bentley University previously, as one of the top schools to attend if you’re looking for a Big 4 job. Its masters of accounting program places more than 90% of its graduates, with an average salary over $67,000. The school ranks very well across a number of sources, including pulling #1 spot in a CollegeFactual survey. More than just a great masters in accounting program though, a quick stroll through Bentley University’s website reveal that Waltham, MA is a fun place to live too. Bentley also consistently ranks in the top schools in Massachusetts for CPA pass rate, both in terms of number of students sent and pass rate. At D’Amore-Mckim, you have at the option of completing a pure masters of science in accounting or a dual MS in Accounting/MBA. The straight accounting program takes 6 – 12 months to complete, while the dual program covers 15 months. Both programs will get you well prepared to do the CPA. As an AACSB-accredited program, Northeastern’s accounting credentials are secure. However, it’s good to know that US News ranked the school as the 57th best business school in the country. The program is also focused on getting its people to the CPA exam and in 2012 it had the second highest number of students sit the exam in Massachusetts (behind Bentley). 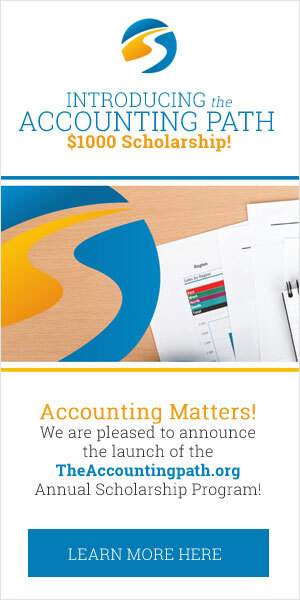 Suffolk’s Masters of Science in Accountancy website starts with the great line “challenging full-time career + personal demands = little time to spare.” This program is clearly designed to deliver on students’ need for flexibility, while still providing great education that leads into the CPA exam. They have alumni in high places too (from Bank of New York Mellon to the U.S. Department of Treasury and the Big 4), so you’ll be well-connected for success when you graduate. Dual degree options exist, allowing you to combine your MSA with and MBA, MST, or MSF. Fairfield started offering their Masters in the Science of Accounting in 2002/03 and it was scheduled to hit about 50 graduates per year in 2014. This means that it’s a relatively small class, giving students the advantage of close relationships with their professors and class mates. Their program is scheduled to allow students to complete parts of the CPA exam during their education (with some students completing all 4 parts). For employment, they primarily target Big 4 employers, using their small class size to provide personal support to all graduate students. Based in Worcester, Clark University is a small school with a well-defined accounting track. Courses cover standard accounting fare, but also extend into more dynamic content such as Information Systems Analysis and Design or Women in Management. The program is specifically designed to prepare you for the CPA exam, and the small school size will help support you the whole way. Interested in finding more schools? See our college search page for accredited programs in your area.